The Iranian leader issued the threat Saturday during a speech to thousands of supporters commemorating the anniversary of the 1979 Islamic Revolution. 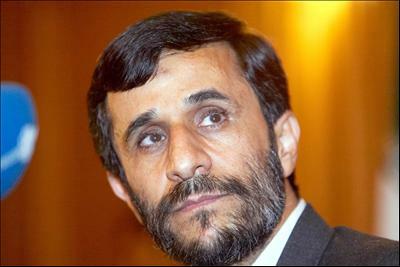 Mr. Ahmadinejad said Iran has worked within the framework of the non-proliferation treaty. But he warned that Tehran would change that policy if the West tried to use the treaty to violate Iran's right to nuclear technology. Earlier today, former Iranian President Mohammad Khatami warned that world oil prices will continue to rise if the United Nations imposes sanctions on Tehran over its disputed nuclear program. The International Atomic Energy Agency voted earlier this month to report Tehran to the U.N. Security Council, paving the way for possible sanctions.